Load Capacity of 400 lbs, Width of 6" per side and Height of 26" - 39"
The Clinton Industries Floor Mounted Parallel Bars are robust medical devices made for exercise, physical and occupational rehabilitation therapy designed with the patient and therapist in mind. Easy-to-use and Reliable. Constructed with stainless steel handrails and a 400 lb. 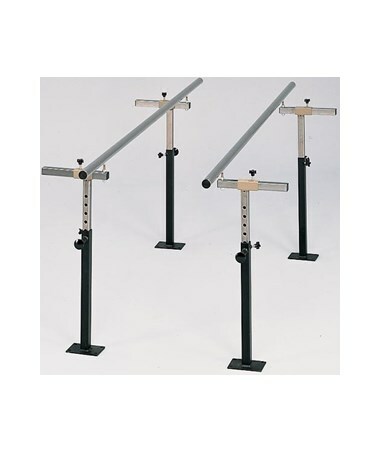 load capacity, the Floor Mounted Parallel Bars and uprights are designed to mount directly to the floor. 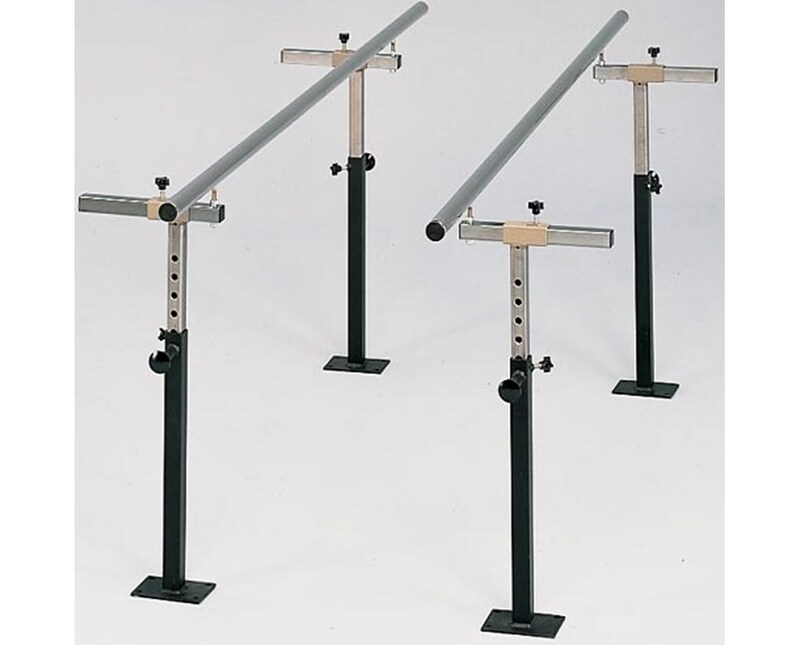 Being adjustable, the 1 1/2" one-piece stainless steel handrails have end bumpers and the steel uprights are made with heavy-duty, square & telescoping steel. The height can be changed hassle-free with spring-loaded plungers and numbered height indicator strips. It features a second height knob that can be removed from side-to-side. Height Range of 26" - 39"